To help mother earth Lord Vishnu incarnated Varaha Avatar in Sat- Yug. One day Lord Brahma’s four sons came to meet Lord Vishnu at his abode – Vaikunth. Since Lord Vishnu was resting at that time, the two guards named Jaya and Vijaya stopped them from entering the gates.Lord Brahma’s sons were very angry and they cursed Jaya and Vijaya to be born as humans on earth. Guards pleaded them but Lord Brahma’s son wouldn’t listen. 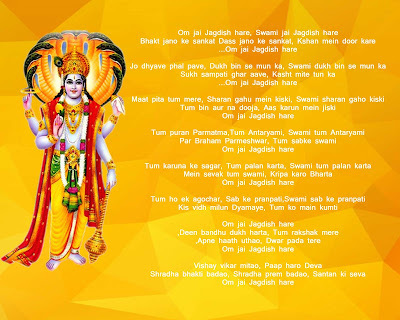 Lord Vishnu after hearing some noises arrived at the spot and apologized for his guards, saying they were just doing their duty.But the curse can’t be taken back saying this Lord Brahma’s sons left. Lord Vishnu then addressed his guards and said that curse would be lifted if you both in human forms would meet your death at my hands. The guards had no choice but to agree to this. Both the guards were born as brothers named Hiranya­kashyap and Hiranyaksha. Hiranyaksha was a great devotee of Lord Brahma. He worshiped him for years and in return Lord Brahma gave him a boon. According to the boon no God, human, Asura, devta ,animal or beast would kill him. He started harassing devtas and invaded Indra’s palace. Fearing for their life devtas took shelter in the caves of mountain ranges of earth. To harass devtas, Hiranyakshap grabbed earth and submerged it in paatal lok. Mother Earth sank to the bottom of the ocean. 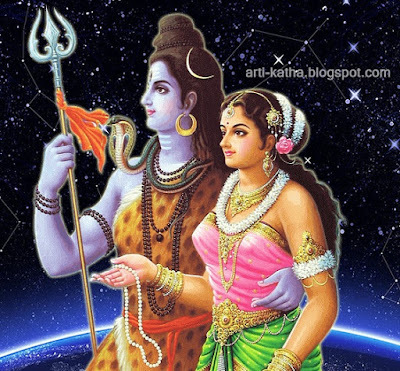 At that time Manu and his wife Shatarupa ruled over earth. 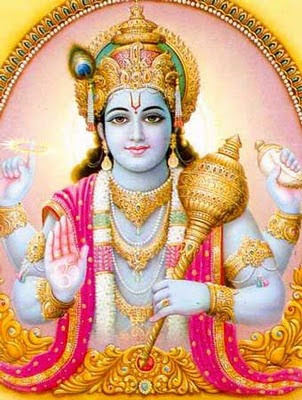 Lord Vishnu took Varah Avtar and lifted the earth out from the ocean and began rising towards surface. Hiranyaksha challenged Lord Vishnu in the Varah (Boar) form to have battle with him but Vishnu ignored all his warnings and continued rising to the surface. Seeing this Hiranyaksha gave a chase, but the varah didn’t even looked back. Hiranyaksha said, “Wait! You impostor! I know you can defeat all with your magic power but at present you are near me and I’ll surely defeat you.” The varah escaped to put mother earth at a safe place. Hiranyaksha became very angry and shouted, “How can you run away like a coward? Return me my earth.” The earth was already frightened but seeing Hiranyaksha it began to tremble more. 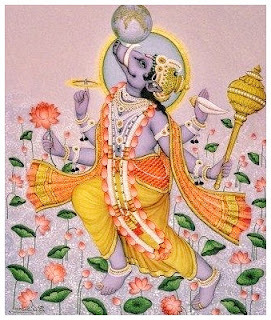 Lord Vishnu in Varaha avatar brought earth over the surface of ocean and placed it gently on it’s axis and blessed her. He then turned to face Hiranyaksha. The demon threw his mace at the varah but the varah stepped aside and raised his mace. They fought for a long time with their mace. Now Brahmaji warned Vishnu, “You’ve only an hour before the sunset. Destroy the demon before it’s dark so that he gets no opportunity to resort his black magic.” Hearing Brahma’s word’s Hiranyaksha hurled his mace towards Lord Vishnu but later flung it away. Having lost the mace, Hiranyaksha began hitting out with his fists on the chest of the varah. Lord Vishnu in Varahaavatar hit Hiranyaksha hard on his face with his fist and tossed him in the air. He fell over his head and died on the spot. Manu got his earth back and the gods their heaven. In this way Lord Vishnu in Varaha avatar slew Hiranyaksha and saved Mother Earth from harm.